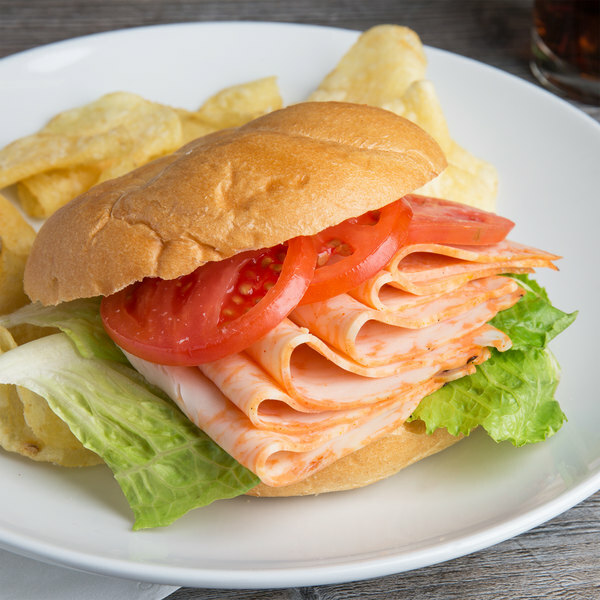 Incorporate tender and juicy chicken recipes into your menu by using Freda Deli Meats 6 lb. fully cooked buffalo style chicken breast! Cured with broth and a blend of salt and sugar, it provides a tasty addition to your menu. This chicken also includes a blend of red pepper, vinegar, garlic, and black pepper to add that spicy zing of buffalo flavoring that customers love. A generous coating of buffalo style sauce permeates the meat and it's mixed with the browned exterior of the chicken breast to create an eye-catching presentation that smells delicious and tastes even better. It comes fully cooked for convenience, allowing you to immediately cut, add to recipes, and serve. This chicken breast is the perfect topping to add to pizzas in order to add variety to your menu. As the pizza bakes, the buffalo chicken sizzles with the melted mozzarella cheese to create a savory, mouth-watering pizza your customers will love. 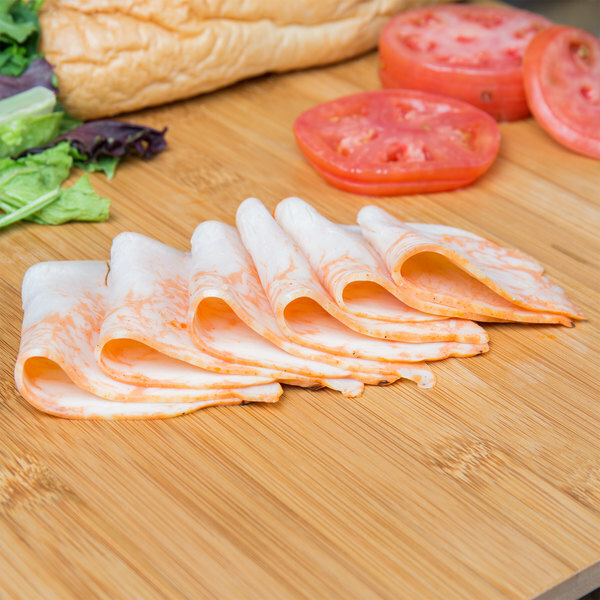 You can even slice this buffalo style chicken breast into thin pieces and pile it high on a delicious roll with mayo, tomatoes, and cheddar cheese, or other classic deli ingredients, to add a twist to traditional artisan sandwiches. Your customers will love the zest of buffalo flavoring in any dish! 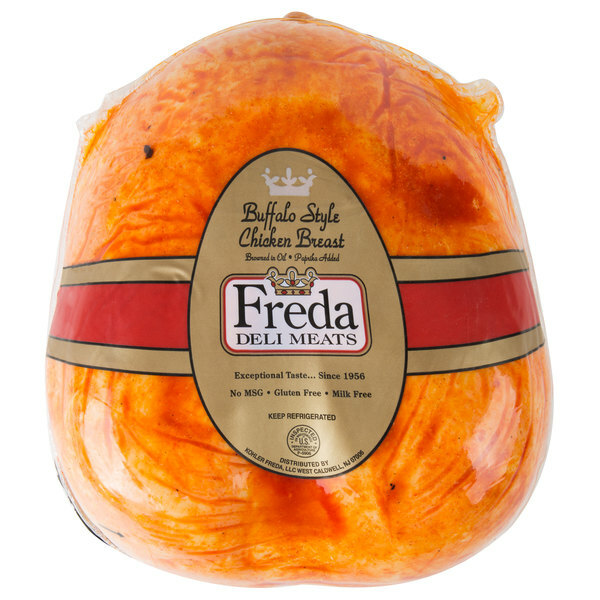 The Freda Deli Meat 6 lb. fully cooked buffalo style chicken breast was good.Very convenient for sandwiches for lunch meal. Would order again. and recommend it.